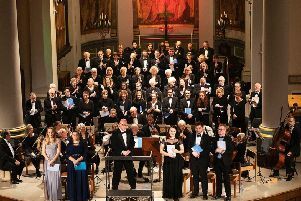 Organisers of the Shipston Proms are putting a call out to all musicians in the area to make this anniversary year bigger than ever. The two-week long festival of music will celebrate its 20th year in June and is planning an event to match. It was started in 1998 by a group of like-minded people who felt Shipston needed more music. A volunteer committee still organises the event which has grown into the two- week extravaganza we see today. A central part of the proms ethos is to promote and encourage participation from as much local talent as possible. One way the festival does this is through its Fame competition. Tim said: “One thing we really like to push is the Fame contest, a talent type thing where anyone can enter. Winners will also be presented with a modest cash prize. The festival’s popularity has also come from its ability to appeal to almost every musical taste and genre – and this year’s prom is no exception. Tim said: “There’s two weeks of music so there’s a lot of different stuff in there. “It runs from classical music to heavy rock so there’s all sorts, open mics, folk nights, some jazz, a classical choir. The festival starts on Friday, June 15 with Too Fat to Kidnap and Mr Ben. The final night on Saturday, June 30 will feature ska band Badness and a three-piece beat box outfit, Duke and special events.